New to dance? Meeting Groove Nation for the first time? We employ high-caliber instructors with impressive credentials, years of experience, who LOVE working with kids! We work hard to create a fun, family-like class environment for the absolute beginners to the most advanced. We believe outstanding dance training begins with developing a strong character and great confidence. You get immediate assistance and great communication by qualified office staff. In many studios, the teacher or the studio owner conducts classes and does the administration. By trying to do two jobs at once, classes suffer or customer service is non-existent. To have a good experience it is important to choose a studio that can assist you with details like schedule changes or upcoming events, even if a teacher is occupied in a class, from morning until evening. Our studio has FRIENDLY qualified office staff available over the phone from 9:00 am until 9:00 pm, and a front desk person during regular class times so you can get immediate assistance. You may already know, many dance studios cut corners by using under-qualified teachers or high school dance students to teach classes. But parents today are more careful in making decisions, and looking to get the most VALUE out of their hard-earned dollar. Although everyone agrees we offer UNSURPASSED training in REAL Hip Hop, we also offer EXCEPTIONAL training in ALL dance styles including: Contemporary and Lyrical Jazz, Dance Technique, Ballet, Musical Theater, Break Dance, Tap or Funk Tap, Ballroom and more…! From beginners to advanced, ages 2 through adult, Groove Nation instructors are highly qualified to teach their genre of dance; but what sets us apart is that they are also highly trained in working with kids. Groove Nation is known for purposely building and cultivating confidence, leadership skills, strong character traits, creativity, AND we strive to use only CLEAN dance moves and music to keep it family friendly. Walk through our doors, and you feel the ENERGY and EXCITEMENT in our Miami-Style Modern studio design! But it doesn’t stop there, our dancers enjoy the safety of our floating dance floor to absorb the shock, reduce fatigue, and prevent injury that can result from dancing on hard surfaces. Large viewing windows allow parents to see what kids are learning in class. We offer special lighting to give the dancer a fun party-like feel, and professional sound system in each room. Our facility includes 7 dance studios, 4+ music rooms, and a large 3200 sq ft dance studio/event center. Our lobby is large and comfortable, with FREE WiFi, vending machines, 5 large TVs and more. It's a great place to visit with friends, watch television, or help kids with homework in our special Homework Corner. Siblings can also have fun while they are waiting in their own special kids area, filled with toys, books and games! Our studio has ample parking, is designed to easily drop off kids without congestion, and is conveniently located near major stores, coffee shops and restaurants so you can run errands or take a break while your kids are in class. 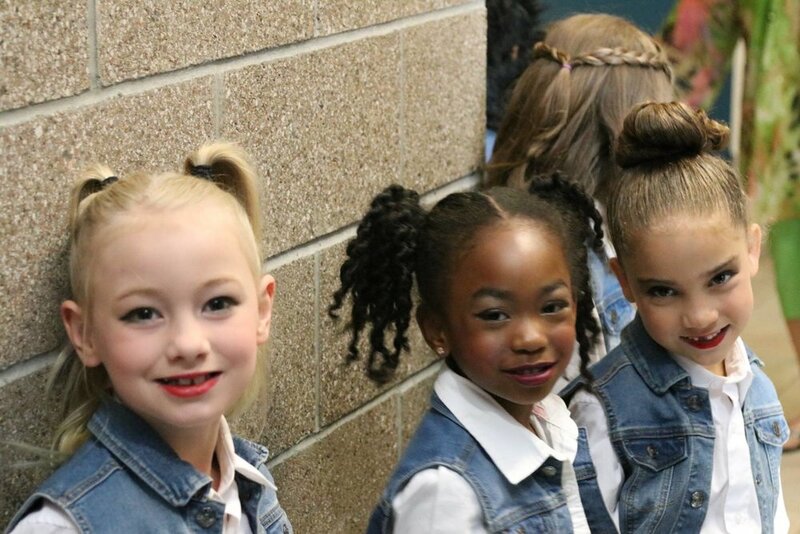 Secret of Our Success: High expectations, dedication and commitment combined with amazing instructors and dance families, working together to help their dancers grow as young artists and be a positive force in their community. Groove Nation was established in 2003 as one of largest dance studios in Clark County. We have since combined our two Vancouver locations into one spacious facility of over 15,000 sq ft of dance, music, and event rooms, located on Mill Plain Blvd. Under the direction of Beau and Rose Sem - the Founders, Owners, and Directors of Groove Nation - the studio attributes their success to high expectations, dedication, and commitment…combined with amazing instructors and dance families, all working together to help their dancers grow as young artists and to become a positive force in their community. So what's holding you back? Come dance with us!